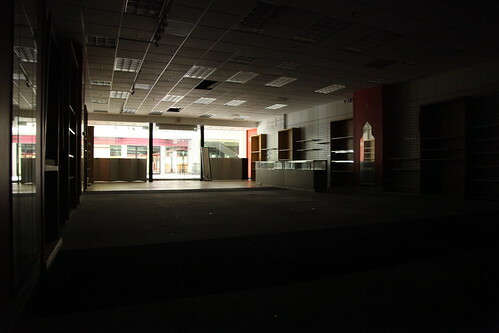 This store was on the first floor, right next to Sears, across from the Sam Goody. Never had much interaction with this store, as I was not their target demographic, also, it seemed hidden away below the escalator bank. Sears' first floor never interested me much either, so the closest I'd come to this area was across the way, at the Sam Goody.